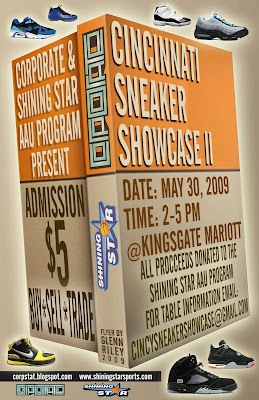 Just wanted to remind those that the needed rooms for the Showcase to e-mail Cincysneakershowcase@gmail.com. We've been getting a lot of questions about rooms and you do receive a nice discount! So let's get everyone squared away as soon as possible! Any questions feel free to ask. Have a good weekend!